Estimate monthly finance payment is based on $8,200 down for 72 months and 4.99% APR. Does not include sales tax, license, fees. The price for this vehicle as equipped does not include charges such as: License, Title, Registration Fees, State or Local Taxes, Finance Charges, Credit Investigation, Optional Credit Insurance, Physical Damage or Liability Insurance, Delivery Fees, or a negotiable $150 Documentary Fee. Any and all differences must be addressed prior to the sale of this vehicle. This used vehicle may be subject to unrepaired recalls for safety. Please visit https://vinrcl.safercar.gov/vin to determine whether a motor vehicle is subject to an open safety recall that has not been repaired. Milam Mazda & Truck Country reserves the right to customize and/or modify vehicles at any time. Due to this practice Milam Mazda & Truck Country reserves the right to adjust the selling price accordingly. Thank you for your understanding and enjoy our before and after photos. 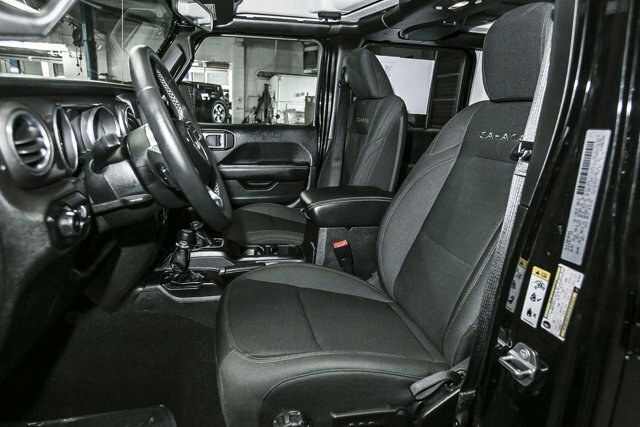 Find a great sale price on this 2018 Jeep Wrangler Unlimited at Milam Truck Country in Puyallup Washington. This 2018 Jeep Wrangler Unlimited is located at our dealership in Puyallup. We also serve the cities of Tacoma, Seattle, and Auburn. So if you're looking for a great price on this 2018 Jeep Wrangler Unlimited or just looking to get an auto loan for the vehicle you want... you've come to the right place! Milam Truck Country. If we don’t have it, we’ll get it....just tell us what you're looking for!